Richmond, Kentucky is the birthplace of legendary frontiersman Kit Carson, The Walking Dead creator Robert Kirkman, and the cool logo'd University of Richmond Spiders. Sharing a hometown with this crew is melodic pop/rock band, Ash Wednesday. 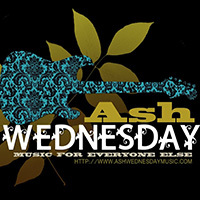 Ash Wednesday's straight-forward sound approaches a Southern-tinged Goo Goo Dolls's vibe, with frontman Zach Barnett's vocals embracing a smoky, emotion-packed tone akin to Johnny Rzeznik. And the music? The band's sound is nothing if not radio-friendly. If the band's recordings have room to grow, it's in the realm of production. While the engineering and production of the ten tracks they currently have streaming at Reverbnation is solid, the recordings leave something to be desired in their fullness. Perhaps some additional mastering would get Ash Wednesday to a radio-ready state that their songs deserve.